To increase survival rates of rescued kittens. Promoting cooperation and information sharing within the animal-welfare community. 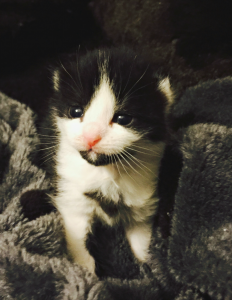 That all neonatal, sick and other at-risk kittens are given a chance to grow and thrive through life-saving educational programs and positive partnerships among shelters, rescues, veterinarians and the public. Compassion: To operate with kindness, caring and understanding in our partnerships with animal shelters and rescue organizations to support their life-saving efforts. Service: To provide high quality, useful education and training to the animal-welfare community to benefit rescued kittens. Commitment: To devote our skills and knowledge to increase survival rates of rescued kittens. Excellence: To stay current on kitten-care information and best practices, and to conduct ourselves with professionalism and integrity in all interactions.